After a successful revival Pigs Can Fly tour last year, British Pop group Busted are releasing Night Driver, their first record since A Present For Everyone all the way back in 2003. With age comes wisdom, and more grown-up music. Their use of expletives in songs such as 'Coming Home' and 'Thinking Of You' show that they're not just a tween band anymore, attracting both those who don't know who Busted are, and those who want to relive their teen days. Lead singer Charlie Simpson's vocals have certainly roughened up since their last release as he's had many practice in bands and as a soloist, giving him a chance to experiment with what works best. One thing that's missing from this comeback record is some harsh guitar, most notable in songs like 'Crash The Wedding' from the old days. Without this they have a pure Pop sound and that's a shame as I think we would all love to rock out to a new Busted song at least once, but it's just not possible. Having said that, the Pop that they have produced is delightful and might sway some new listeners to become fans of Busted. They've definitely heard the trends of music right now, tapping into where it's headed for the future - 'On What You're On' being an example of this, a song with a little auto-tune thrown for good measure, a funk-filled beat and some jazz undertones make this a song that belongs on the radio and in the Disco room at Oceana, which I would agree isn't a bad thing. Title track 'Night Driver' has the menacing drum beat that's so clearly worked for many other artists, and will probably do so for these guys - seriously, it's so addictive to tap your feet to. The chanting of "midnight driver/midnight driver" and repetitive chorus is why these guys will be branded as Pop musicians from now until forever more, with the images of air-jumping being taken completely out of the picture. 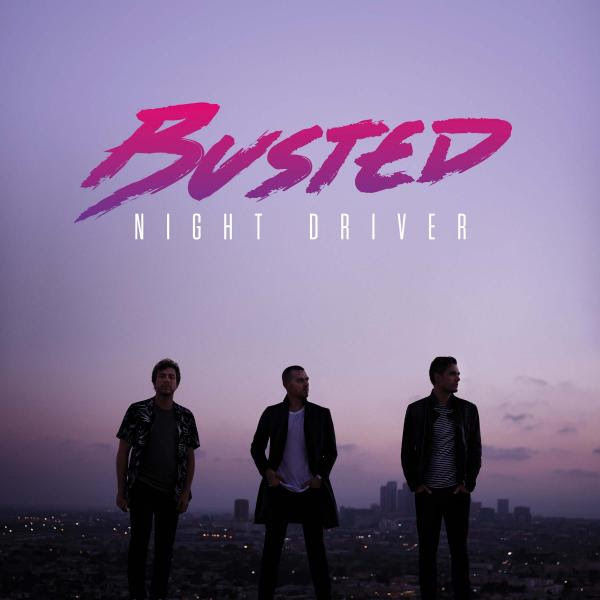 Busted have definitely shown that they can conform themselves to be part of today's generation of music, but Night Driver is just missing that little spark of Rock and the ability to jump about with air guitars to their music that everyone so desperately misses. You can buy Night Driver on iTunes, Amazon (UK | US) and stream it on Spotify for free. Busted are about to embark on their 2017 tour, tickets for which can be bought here. Follow Busted on Twitter, Facebook and Instagram to see their snaps from the road. Don't forget to follow me on Twitter and Facebook so you never miss a post.